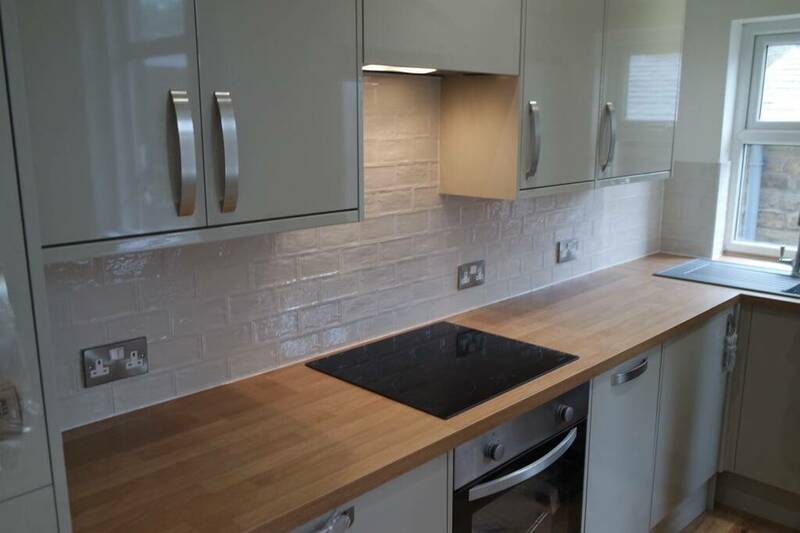 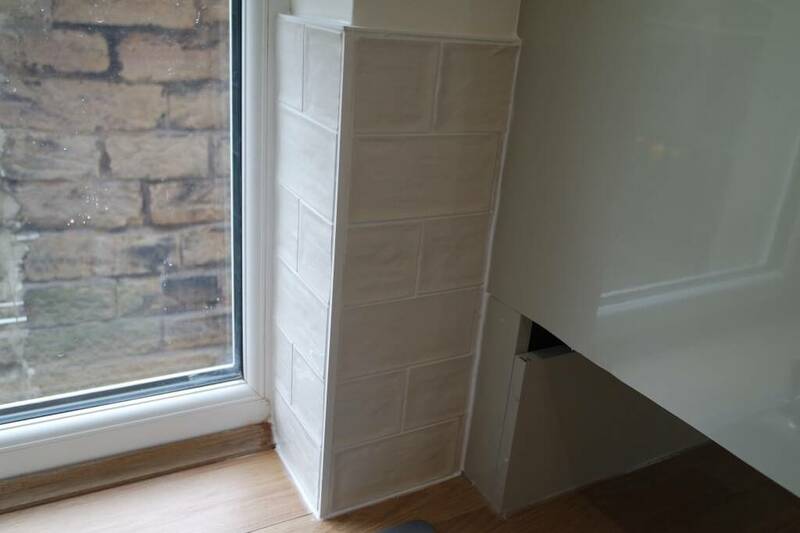 Recent tiling work completed by TF Building and Renovations in our home town of Skipton. 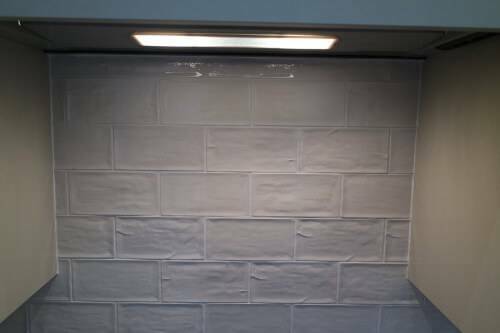 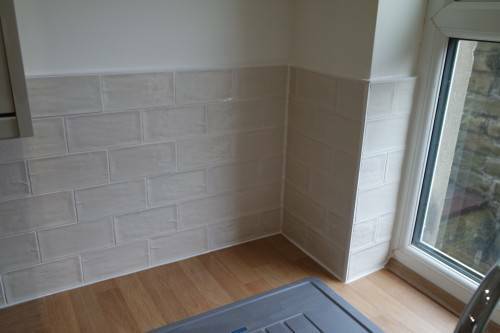 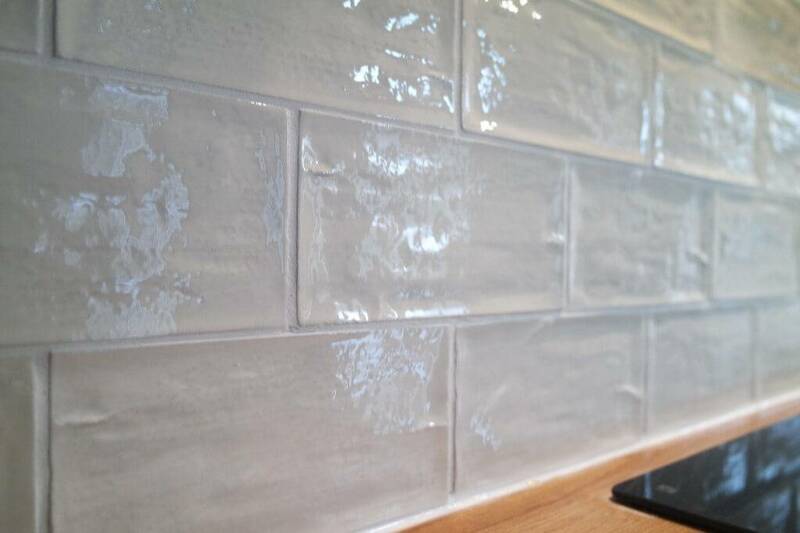 A very nice modern tile chosen by our customer form local merchants Merit and Fryers a rustic metro style with very little bevel. Firstly the fresh plaster is primed with a sealant and allowed to dry. 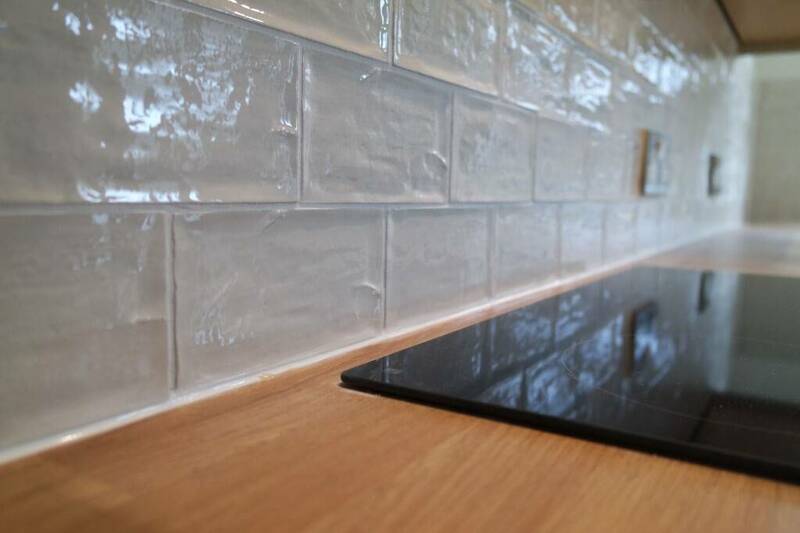 at this point we will measure the length and work out the best aesthetically looking place to start the tiling. 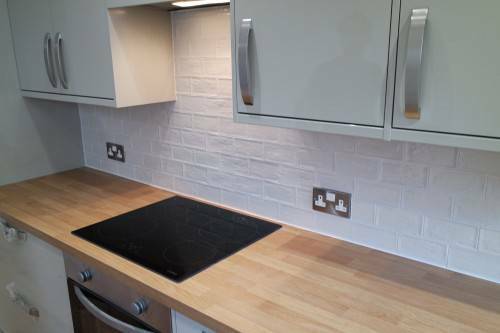 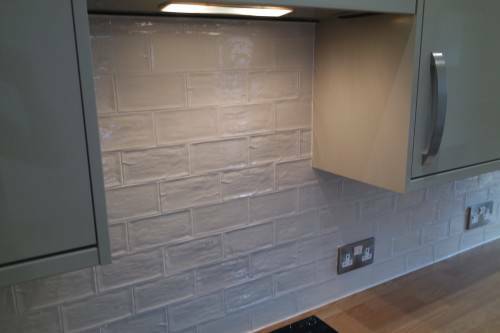 As requested the tiles are fitted in a brick style half bond fashion with 3mm spacers. 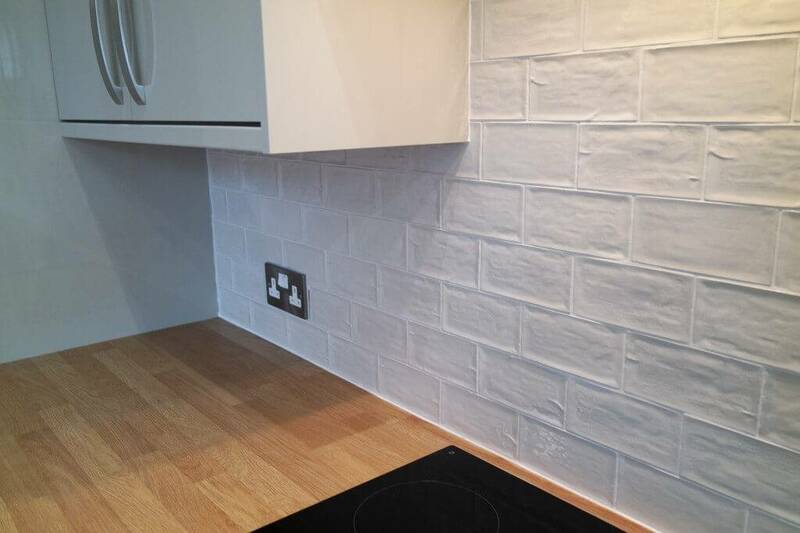 All work tops and cupboards are covered up, even the floor. 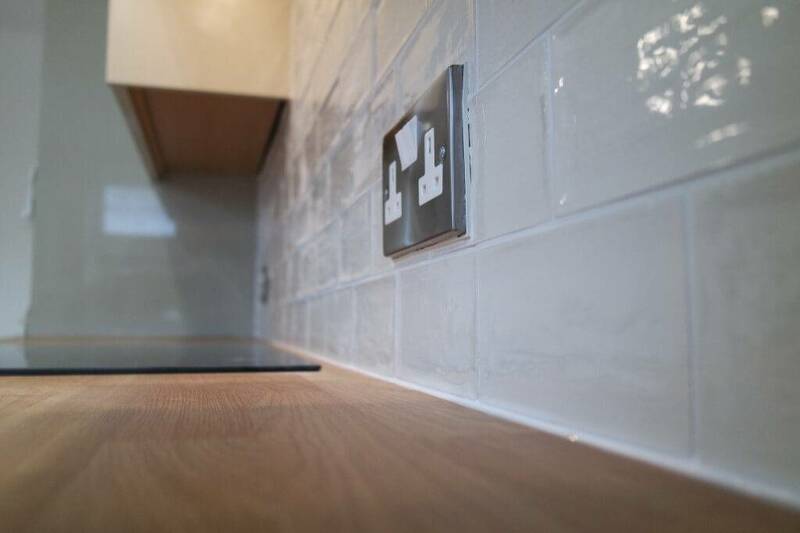 The tiles are cut a fit to the wall with he appropriate adhesive, Behind the plug fronts and up to white corner bead. Square corner bead was used for a more modern look. Once set the tiles are then grouted with a brilliant white grout and polished up with a dry clean cloth. 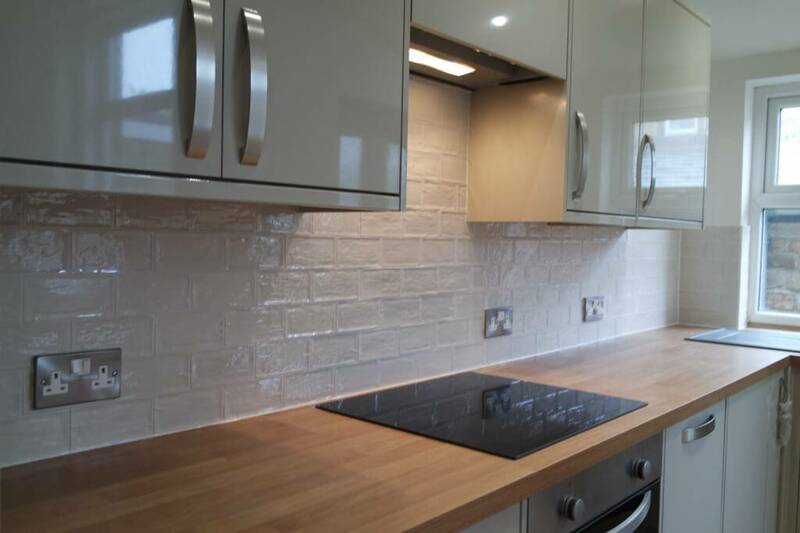 Lastly all the edges are sealed with hight quality anti bacterial silicone sealant. If you would like to talk to our tilers about a project you have in mind please head over to your contacts page.